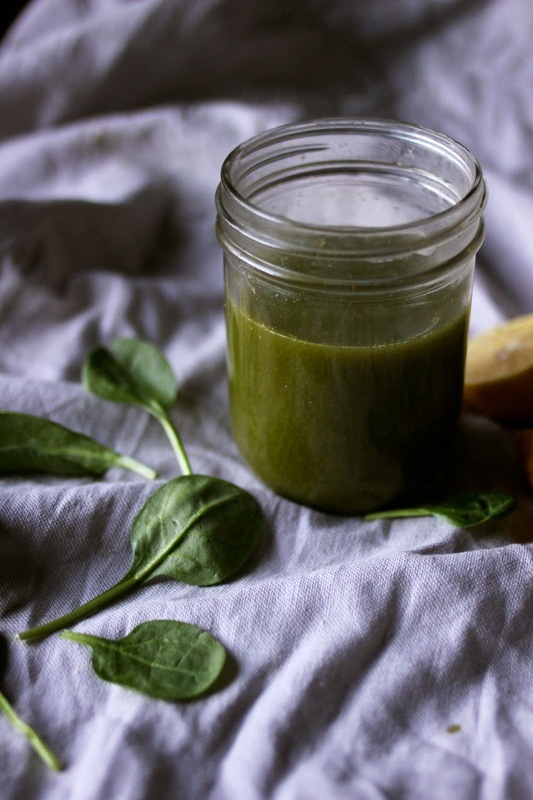 How can you blog about juice without talking about green juice? Of all the juices, this is the one I feel best about drinking. This recipe is a rough guideline, as I tend to throw in whatever I have on hand. I usually make my green juice in a quantity that will last me 2 or 3 days. I knoooooow juice is best consumer immediately, but my juicer claims I have 72 hours, and I'm really too lazy to juice this one every day...though happy to drink it every day. Sometimes this juice is my lunch, and sometimes its just an accompaniment or snack. I guess I'm just saying it has the potential to be meal worthy. I usually water down my portions of juice, both to stretch is out a bit longer, and because it's a very concentrated concoction, so sneaking in some water to dilute it doesn't hurt. 1. Pass everything through your juicer, alternative between soft (kiwi) and hard (leafy greens) produce. Here's my every day custom. I could blend my beverage with a smoothie, however I like my smoothies more fruity, so I want to blend 2+ tablespoons of Green drink into in about a quart of water. I simply drink it each day 60 minutes after work. Hey i just read your blog its quite interesting. Nowadays the consumption of all the people is not healthy this juice could be one of a way in which we can get our fitness back. Thanks for the share. I love to drink green Juice. Last week I made Organifi green juice for my hubby. He liked it. By the way, I am going to share this recipe on my Facebook to see my friends and followers. Thank you so much. explaining all about Organifi Green Juice Reviews . This site is another addition to read some awesome benefits about thid awesome juice.